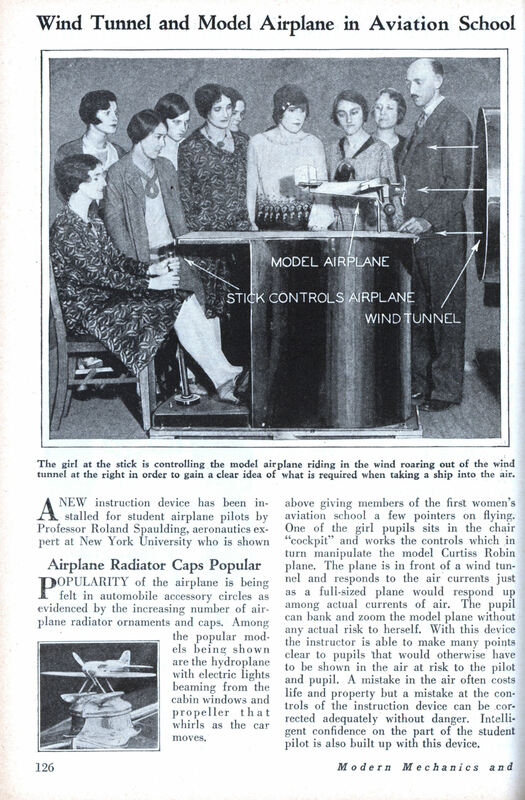 A NEW instruction device has been installed for student airplane pilots by Professor Roland Spaulding, aeronautics expert at New York University who is shown above giving members of the first women’s aviation school a few pointers on flying. One of the girl pupils sits in the chair “cockpit” and works the controls which in turn manipulate the model Curtiss Robin plane. The plane is in front of a wind tunnel and responds to the air currents just as a full-sized plane would respond up among actual currents of air. The pupil can bank and zoom the model plane without any actual risk to herself. With this device the instructor is able to make many points clear to pupils that would otherwise have to be shown in the air at risk to the pilot and pupil. A mistake in the air often costs life and property but a mistake at the controls of the instruction device can be corrected adequately without danger. Intelligent confidence on the part of the student pilot is also built up with this device. 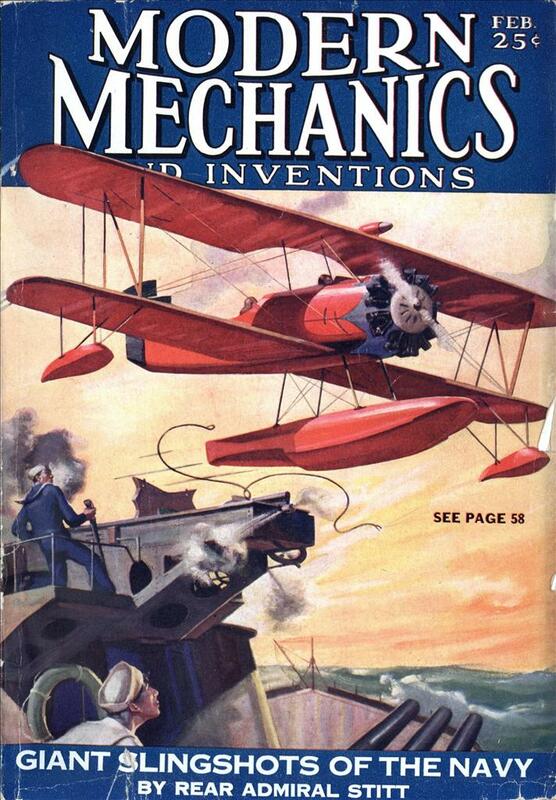 POPULARITY of the airplane is being felt in automobile accessory circles as evidenced by the increasing number of airplane radiator ornaments and caps. Among the popular models being shown are the hydroplane with electric lights beaming from the cabin windows and propeller that whirls as the car moves.